Look no further than Buffalo’s Inner Harbor for the perfect floating tiki hut luau. Buffalo Tiki Tours is soon to be every Buffalonians’ favorite party spot. 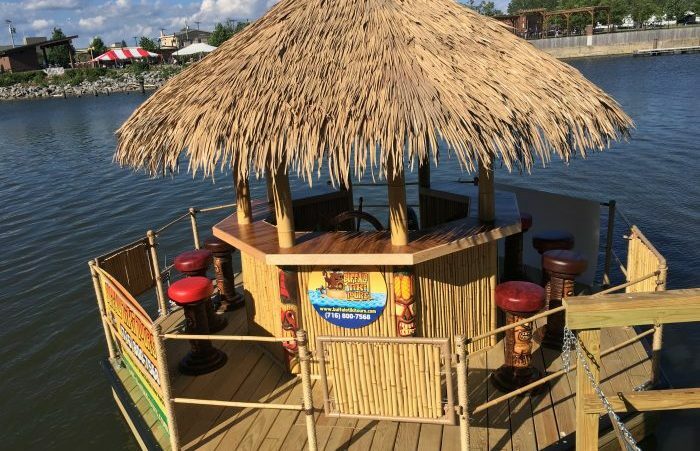 Each motorized tiki hut cruise lasts an hour and floats throughout the Inner Harbor and Canalside, with special rates offered for all-day, half-day, and special events (bachelorette party, anyone?). The huts seat 6 people, so grab your five best friends and family members for some light day-drinking or a hot date for a sunset cruise. 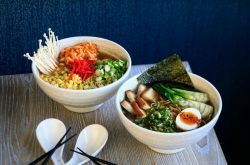 The tours are in conjunction with Buffalo Riverworks, everyone’s favorite brewery/restaurant/venue, so all food and drink packages must be purchased through them. You can also float your hut over to Riverworks at any point to use the bathroom. If you’re trying to figure out in your head which friend would be best able to steer the boat, worry no more. Each hut comes with your own personal captain and safety jackets, in case the party gets a little too wild. Regular cruises are offered seven days a week, with sunset cruises offered daily beginning at 8 pm. Special cruises will also be offered during Canalside concerts, because there’s no better way to enjoy the concert than away from all the people, on your own little floating tiki hut.